Are you experiencing hair loss or thinning hair? If you are then we can help and provide a solution – that requires no surgery, no tablets and no risk. Non surgical hair replacement Oldbury is a hair system used the world over that is fitted where you are experiencing hair loss and blends with you own existing hair and the results we achieve natural and unnoticeable. Look no further for a hair loss clinic Oldbury. A hair system is suitable for most types of hair loss and is not like wearing a wig – the base is a skin-like membrane that you can not see when against your own skin. We have over 25 years experience and clients travel to us in Wolverhampton from all over the UK are the ideal hair loss clinic Oldbury to meet your needs. We offer free consultations in a private cubicle – relaxed and no obligation. We explain how the hair replacement works and you can leave and have a think or decide whilst you are here. This will be by an experienced stylist (not salesperson!) who would be the person carrying out the fit and style if you decided to go ahead. The next step is to match and get the correct system – we match your hair density, hair colour and discuss the base type depending on your circumstances and skin. We do have a certain number of systems in stock provide all types to ensure the best fit for you. We also offer the complete bespoke made to measure where we take a mould of your area to create the system. 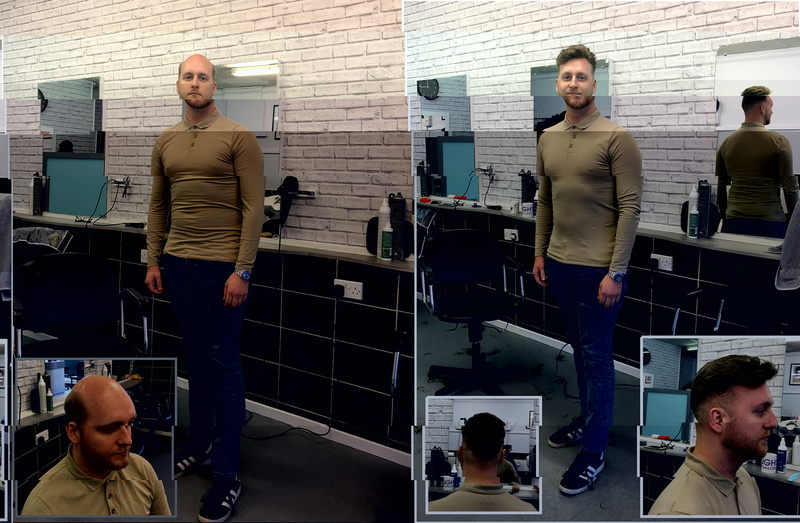 Depending on which hair replacement Oldbury system you decide upon we will be able to either fit on the day or it would require a second visit (as soon as within 7 days). If you are travelling a distance and would like to visit us only once we can arrange this, please contact us to discuss. The cut and style of the system is where we ensure it looks unnoticeable and use our years of experience. You then leave our salon with a full head of great looking hair! We are in the city centre of Wolverhampton so only a short journey from Oldbury. We have free parking available, but this will need to be booked in advance. Please feel free to call us or email us with any questions and we look forward to hearing from you. we are 5 minutes walk from the main city train station and/or bus depot. Click here for directions to us! – we are approx 27 min drive.